HAPPY BASTILLE DAY!! 🇫🇷 In Celebration of Bastille Day and for the love of all things en français I have gathered all of your favorite Fashionista’s dazzling in Parisian Style. 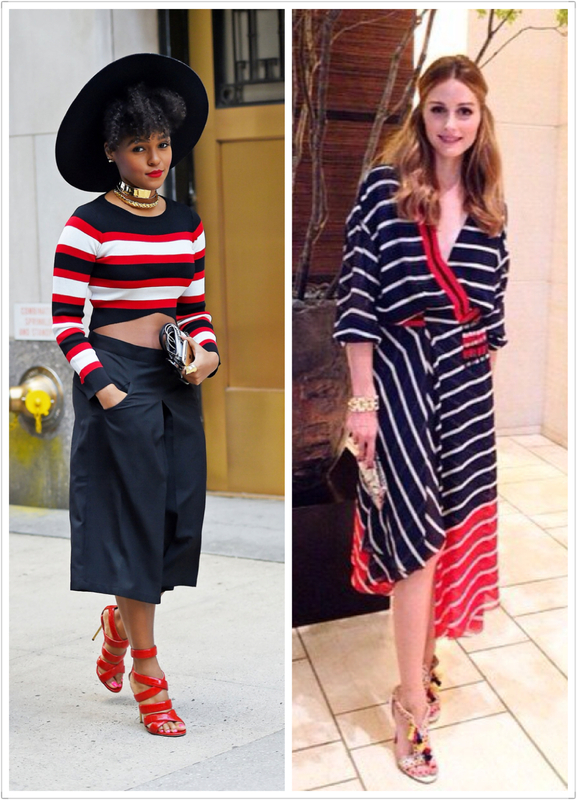 While Kim Kardashian-West and Jennifer Lawrence put their glitz on their stripes for our glam lovers others like Janelle Monáe and Olivia Palermo kept their stripes Traditional Red, White, & Blue. But what all of their stripes have in common is they all did it in fashions most favorite fashion designers. Keep scrolling for details on all of these red hot and glam looks!